Founded by Henry Ford in 1903, the Ford Motor Company is one of the largest car makers in the world. 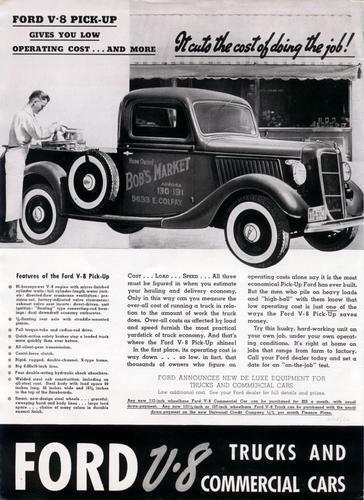 Ford opened the first assembly line warehouse in Detroit, MI – Ford became famous for its innovative assembly line manufacturing, which allowed the company to produce cars exponentially faster than before. Currently, the American car company manufacturers its automobiles in the United States, Canada, the United Kingdom, Australia, Brazil, Argentina, Mexico, China, Germany, Turkey, and South Africa. Ford also manufactures cars under the brand names Lincoln and Mercury. The company also holds shares in car brands Aston Martin and Mazda. AT&T Inc. was originally the Southwestern Bell Corporation. Headquartered in St. Louis, Southwestern Bell was one of the seven original Regional Bell Operating Companies – “Baby Bells.” In 1993, The Southwestern Bell Corporation moved its headquarters to San Antonio, TX, and in 1995 changed its name to SBC Communications, Inc.
SBC Communications, Inc. proceeded to acquire many of the Baby Bell companies and finally stopped marketing the individual companies under different names. In 2005, SBC Communications, Inc. Purchased AT&T for over $16 Billion and changed its name to AT&T. 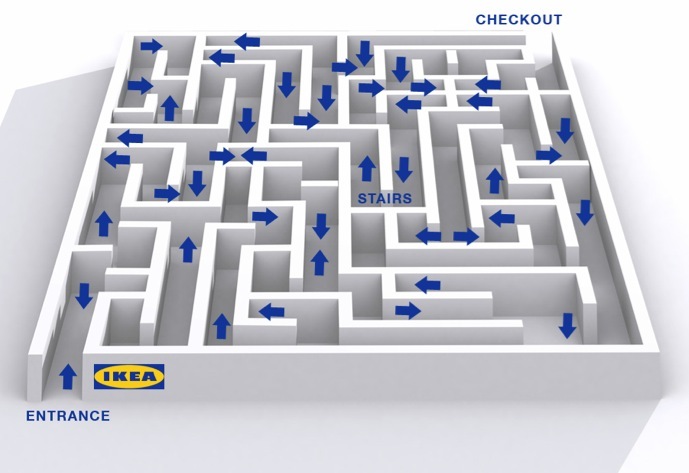 Founded in 1943, IKEA sells furniture and home accessories at affordable prices. Ingvar Kamprad started IKEA in Sweden when he was 17 years old. IKEA is an acronym for Ingvar, Kamprad, Elmtaryd (the farm Kamprad grew up on), Agunnaryd (Kamprad’s home County). In the beginning, IKEA sold table runners, wallets, picture frames, jewelry, pens, and nylon stockings. Products were sold by mail order and out of Kamprad’s home until the first IKEA store opened in 1958 in Sweden. Furniture was not sold until 1948, and in 1955 IKEA began designing its own furniture. Prior to forming Oracle, founders Lawrence Ellison and Robert Miner had worked together at Ampex Corporation on a CIA project code-named “Oracle.” While working on the CIA project, Ellison came across a research paper published by IBM describing work being done to develop a relational database management system (RDBMS) that would allow computer users to retrieve corporate data from almost any form using Structured Query Language (SQL). Finding that no company had committed to commercializing the technology, the pair teamed up with coworkers Ed Oates and Bruce Scott in August 1977 to form Software Development Laboratories (SDL). First published in 1923, the weekly American magazine TIME is an international news magazine. 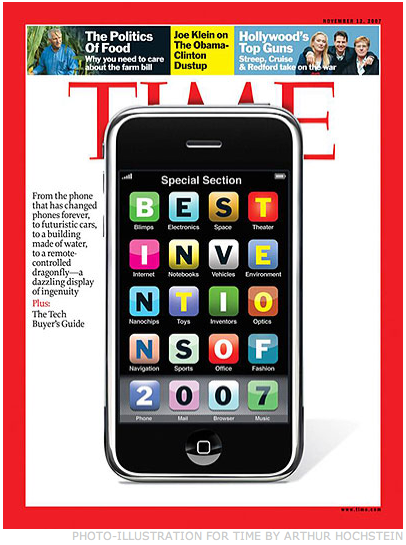 TIME Magazine is similar to U.S. News & World Report and Newsweek magazines. Started by Henry Luce and Briton Hadden, TIME’s first issue was printed on March 3, 1923. The first edition featured Joseph G. Cannon (a retired speaker of the U.S. House of Representatives) on the cover. On the magazines 15th anniversary a reprint of the first edition was sent out with the current issue. TIME Magazine is distributed in the U.S. and Canada. The Canadian version has the same copy, but different advertisements. TIME has a South Pacific edition that reaches Australia, New Zealand and the Pacific Islands. The South Pacific magazine is headquartered in Sydney, Australia. TIME Asia is based in Hong Kong, while TIME Europe reaches Latin America, Africa and the Middle East. A European edition of TIME is based in London and distributed by the title TIME Atlantic. Established as Apple Computer, Inc., on April 1, 1976, The company kept its longer title until 2007, when it changed to Apple, Inc. Started in Cupertino, California, the American corporation was incorporated on January 3, 1977. Founded by Steve Jobs, Steve Wozniak and Ronald Wayne, Apple, Inc., designs and manufactures consumer electronics and software for the electronics. Apple products include laptops, desktops, numerous iPods, and the iPhone; while software includes the Mac OS X Operating System, Final Cut Pro, iLife, and iTunes. Founded in 1999 by then CEO David Neelman under the name New Air, Jet Blue reached the title of second largest low-fare airline in the nation by 2006. New Air replaced the desired name “Taxi,” because the company’s board decided that the negative connotations surrounding the word Taxi were too great to use for an airline. Neelman is now the Chairman of Jet Blue, but the airline is no longer a low-fare company.